Kasbar, a modern and new Moroccan cuisine, to be enjoyed with a cocktail or a nice glass of wine. 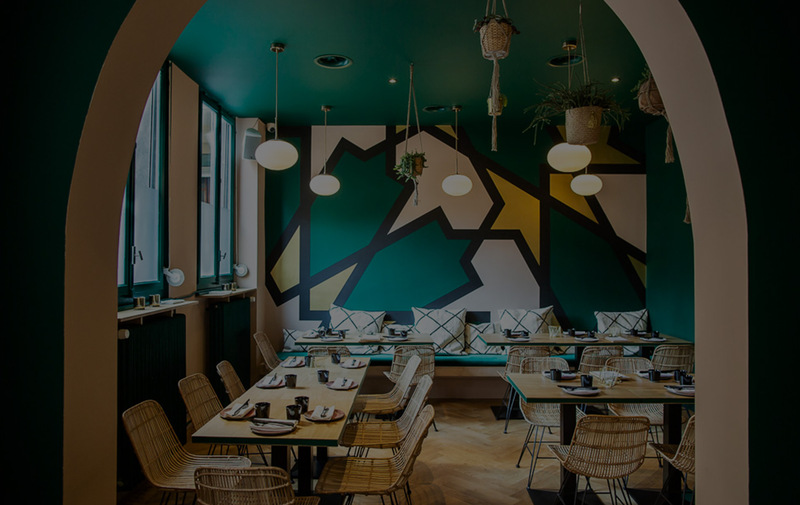 Kasbar is the natural next step after Inda-Bar : after Inda-Bar’s success, its founder Morad El Hajjaji has decided to focus on the food of his childhood, the Moroccan one, while keeping a modern approach to it, true to his vision. Our cuisine gives a modern twist to the traditionnal Moroccan dishes, using simple and fresh products, and the right touch of spices. Morad gave the lead of the kitchen to the chef Laetitia Fajardo, who signs a rich and refined menu. We welcome you from Tuesday to Saturday evening, in a modern and cosy environment, to discover our dishes together with one of our signature cocktail or a wine from our selection.